Last year, the Darling Ducklings sold a record setting 11,000 duck adoptions for the Windy City Rubber Ducky Derby. 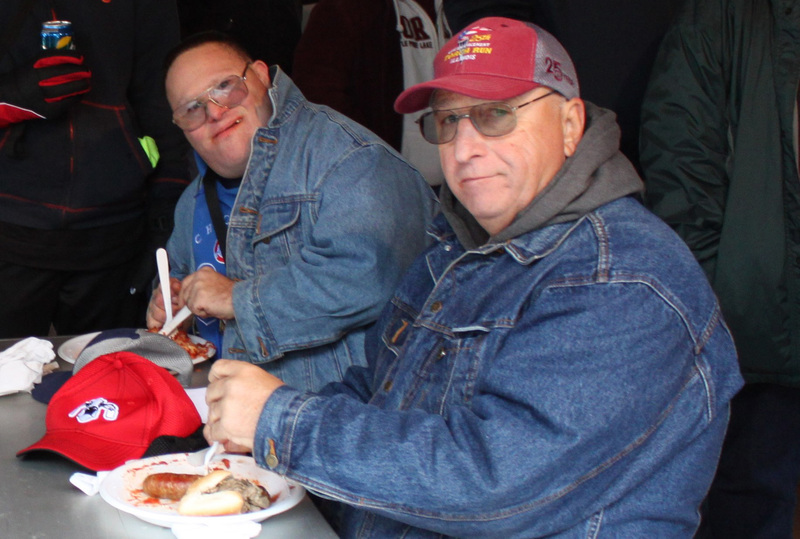 This team, comprised of Special Olympics Illinois athletes from across the Chicagoland area, shows no signs of slowing down. Currently, the Darling Ducklings have sold nearly 7,500 ducks. Contributing to the Darling Ducklings’ success is Danny Zeller, who sold more than 300 ducks over a recent weekend with his father, Zeke, in front of their local Jewel-Osco. Throughout the months of June and July, it isn’t uncommon to see Danny and Zeke in their community spreading the word about the Ducky Derby. Their duck sales to date total 700. 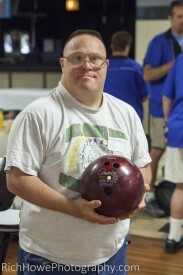 Danny began his career as a Special Olympics athlete in Germany in 1977 at the age of 3. Now, 35 years later, he still loves competing in several sports including bocce, bowling and soccer, but his favorites are basketball and softball equally. Two years ago family friends convinced the father/son pair to get involved in the Ducky Derby. This will be their first year attending the Windy City Rubber Ducky Derby and Danny can’t wait to meet new people at this event. This year marks the 10th Annual Windy City Rubber Ducky Derby. Join Special Olympics Illinois as it celebrates a decade of ducks on Aug. 6, 2015, when 60,000 ducks will splash into the Chicago River. The fun starts at 10 a.m. in front of the Wrigley Building located at 400 N. Michigan Avenue in Chicago. Adopt a duck for $5, a Quack Pack (6 ducks for $25), a Flock of Ducks (24 ducks for $100) or, new this year, a Decade of Ducks Donor package (240 ducks for $1,000) for your chance to win one of the Windy City Rubber Ducky Derby’s great prizes including a brand new 2015 Chevy Trax or an all-inclusive Apple Vacation. Ducks can be purchased online at chicagoduckrace.com. The funds raised will help support year-round sports training and competition in 19 sports for nearly 22,000 Special Olympics athletes and nearly 21,000 Young Athletes (ages 2-7) throughout Illinois. Join the conversation on Race Day using #chiduckyderby.